Winners and honorable mentions will be announced on May 13, 2019. For more details check out our 2019 SoftChalk Lesson Challenge information page. 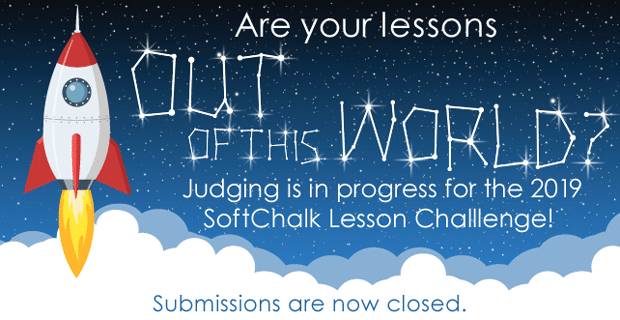 Spread the word and let the universe know that the 2019 SoftChalk Lesson Challenge is going on now! Use the hashtag #SCLC2019.